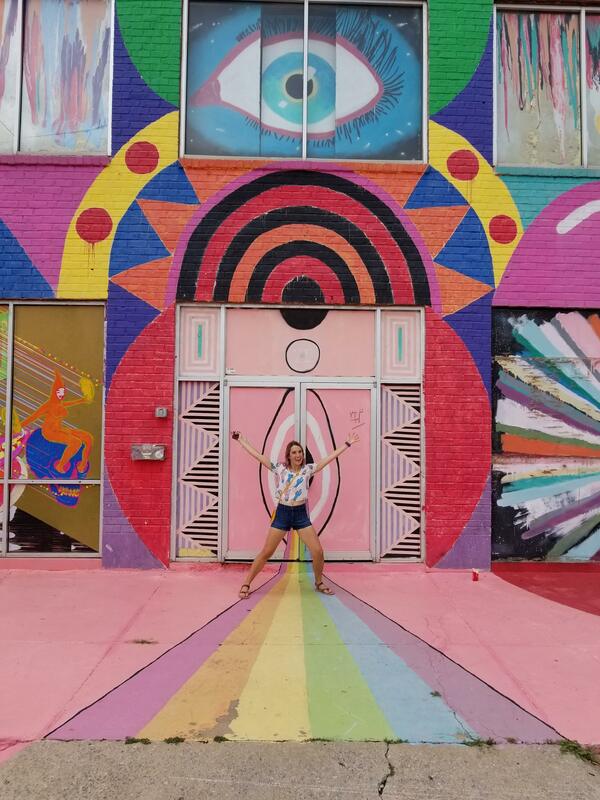 Oklahoma City isn’t the first place anyone thinks to take a long weekend but that soon might be changing with an influx of hip shops, cool dive bars and damn good beer. 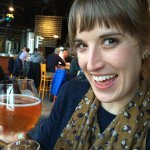 Welcome to the first in my Frugal Beer Snob’s City Guide series. These guides live by the four rules that the best travel is affordable, walkable, snackable and extremely quaffable. We were in Oklahoma City for three nights. You can get an Air BnB in a walkable area for between $60 to $100. If you are willing to drive for less then 15 minutes to reach the center of town, I recommend our AirBnB near the Capital. We paid $52 a night and, other than a confusing shower and loud in-unit air conditioning unit, found the place to be clean and comfortable. The cost of food and drink around Oklahoma City is comparable to Austin. A high quality pour-over coffee will cost about $4 and a pint of craft beer averages $6. One way Oklahoma City helps travelers save money is offering massive portions. Just one portion at GogiGo for example should last three meals. How I keep my city breaks affordable is by staying in a cheap AirBnB with a kitchen so I can supplement my hipster coffee and beer with oatmeal packets and leftovers. A suggested budget for a couple is $140 a day. $60 for lodging, $60 for meals and beers and $20 for entrance tickets/shopping. Despite being the second largest city in America by land mass, the urban core of Oklahoma City is relatively compact. The majority of sights and trendy neighborhoods are in a one by one and a half mile square. 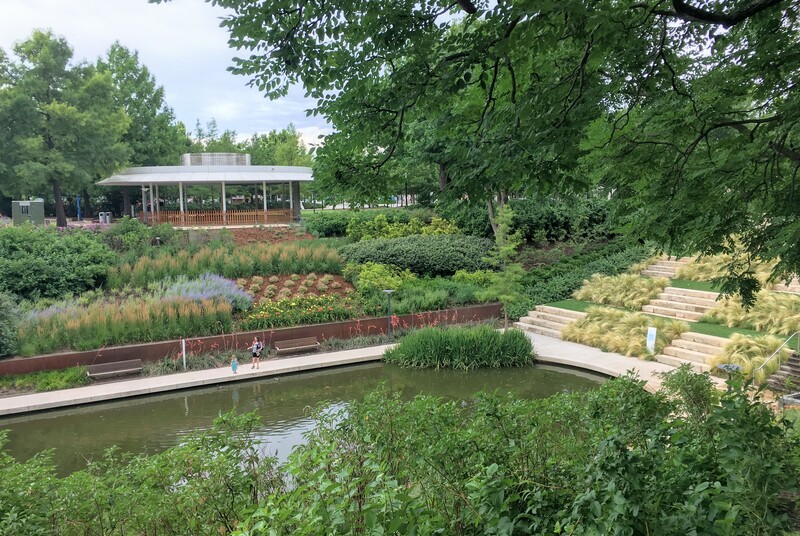 Start your day in the Myriad Botanical Gardens exploring 17 acres of plants, playgrounds and public art. Then head east to walk around Bricktown, a cheesy entertainment district with museums scatted throughout a mess of chain restaurants. 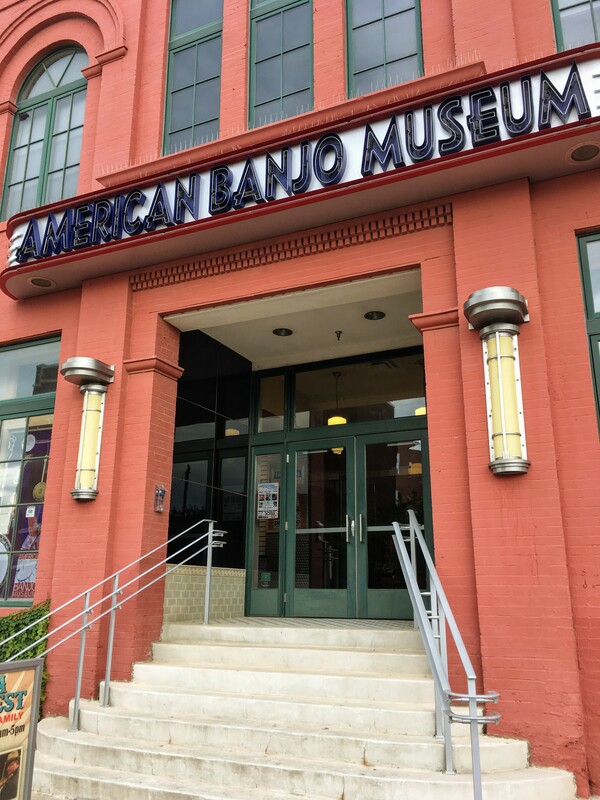 I didn’t have have the chance to visit the American Banjo Museum where, for $8 a visit, you can see over 400 banjos and historic items. If you, like me, don’t know a plectrum from a six-string, choose instead to walk down the Bricktown Canal to see the Centennial Land Run Monument. Featuring forty-five figures the larger than life monument harkens to the good old days when all you would need to own land was a gun, a fast horse and be a white male. Snark aside, these statues are impressive to see and right across from the regatta and boathouses. After you’ve had your fill of the murals and sight of Bricktown, start walking north toward the Oklahoma City National Monument and Museum. I work in a rather plain and soulless office building. It’s one of those places where you presume that nothing exciting will ever happen and no one plans to have their final moments under its florescent lights. Despite their gray ugly walls, every office contains some wonderful people who just want to waste enough time in their cube so that they can go home to their families. 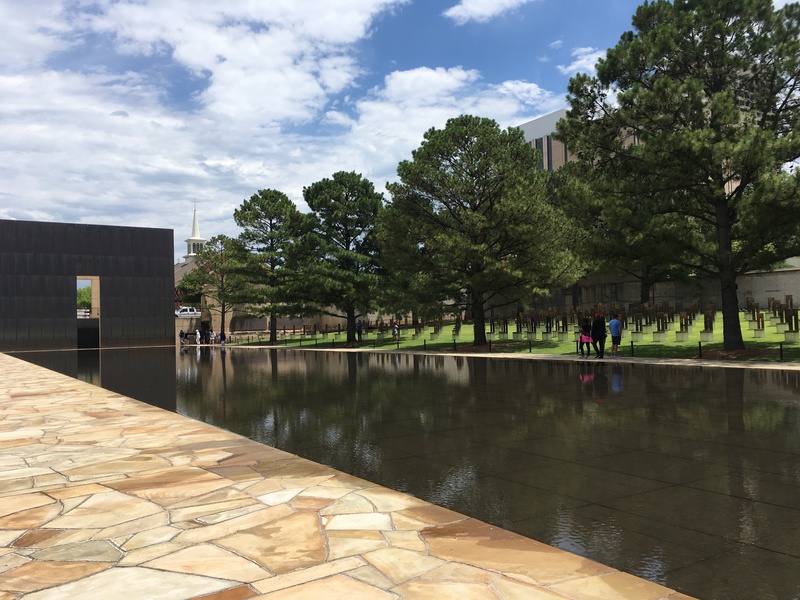 For these reasons, I found myself unexpectedly moved and affected by the memorial. On the east a large black gate marks the time before the explosion (9:01); an identical gate sits on the west marked 9:03. In between the two sits a reflecting pool and a grassy hill with 168 illuminated chairs, one for each man, woman and child who lost their lives. The memorial is next to a the Memorial Museum ($15 per adult) which while highly rated, we did not enter. While not a substitute to the museum, I highly recommend watching this short New York Times Retro Report to understand a little more behind the background of the attraction and how anti-government fear still affects America today. After a somber exploration of the memorial and museum walk north to SOSA, Automobile Alley and Midtown. 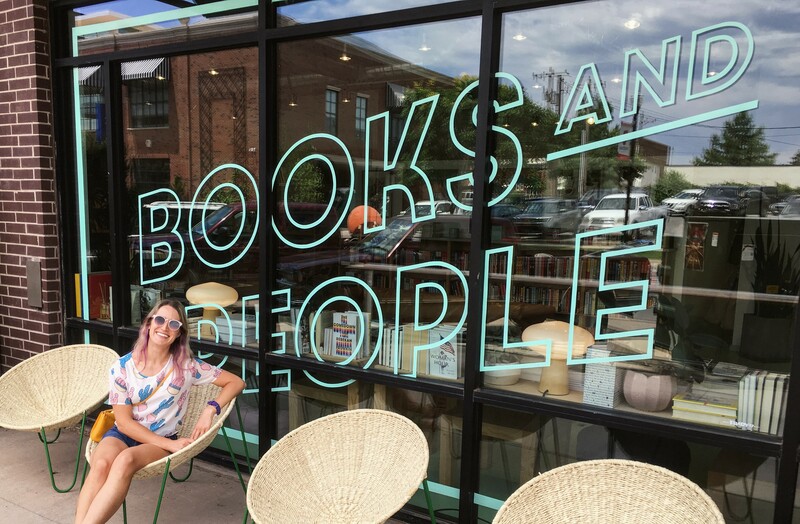 Broadway, 10th Street and Walker are all great for window shopping. Check out Shop Good on Broadway for locally made goods and jewelry. Stay on Broadway if you’re looking for a unique souvenir and swing by the over-the-top friendly OK Runner running store. I loved their “I am an OK Runner” shirts. Finally, I want to start the Frugal Beer Snob’s travel guides out right, which means including a bookshop recommendation in every post. 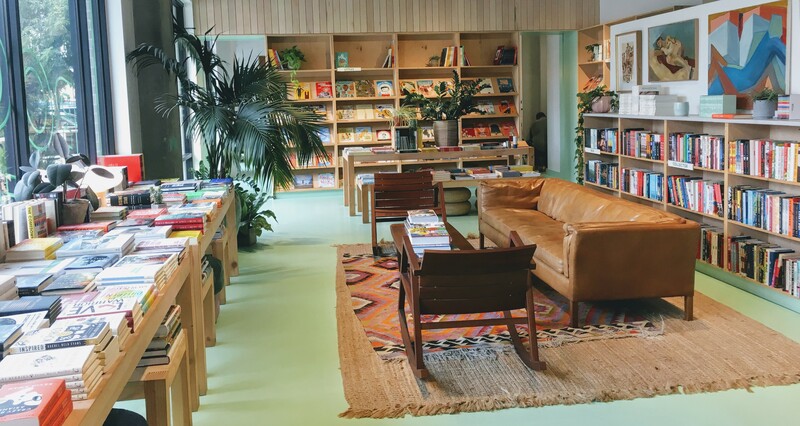 Commonplace Books & Cafe is a stylish, curated independent bookstore attached to a small cafe. Pick up a coffee and browse the selection with the owner’s friendly dog. Heaven! Start your day on the prairie right with a cappuccino and a Sweet Jesus sandwich (thyme roasted cauliflower, fried runny egg, sweet potato mash, tomato and gruyere on rye) from Elemental Coffee in SOSA. The sandwiches come with your choice of delectable vegetarian sides and will give you enough fuel for your day exploring the city on foot. For a larger meal look to GogiGo for fast casual Korean or The Halls Pizza Kitchen for Italian style wood fired pizza. The Halls didn’t have as many vegetarian options as I would have liked but we ordered the Samwise without bacon and it hit the spot. I also recommend making the journey to NW 16th Plaza District for more window shopping and eat at farm-to-table restaurant Aurora. We had live music during our brunch and while I had the avocado toast, each baked treat that came out of their kitchen looked better than the last. I wish I took a picture of their Pride cinnamon roll! We didn’t have as much time to try more local restaurants, as good as many of them looked! I try to save money while traveling, cutting money from fancy restaurants and spending them on fancy beer instead. 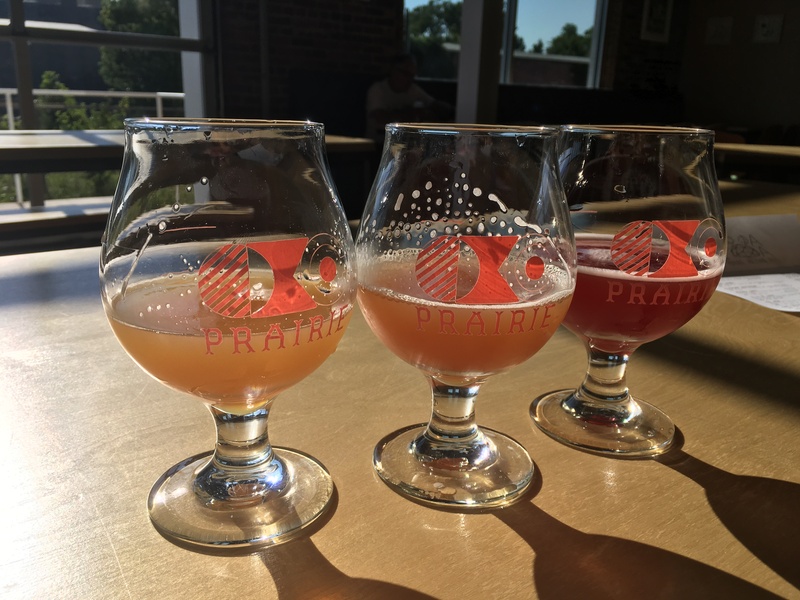 When I think Oklahoma City beer, I think Prairie Artisanal Ales despite the fact that it is brewed over 200 miles away. 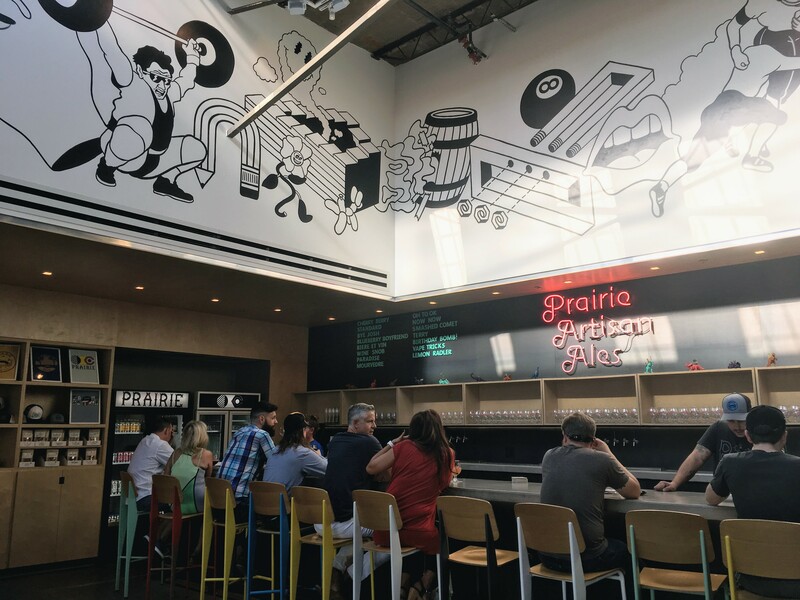 Get your fill of their world class beers in their funky new taproom located a block away from the Flaming Lips’ Womb event space. The tap house had ten beers on tap during my visit. Pints are expensive, between $6-12; instead try a four once pour of multiple beers for between $2-4. Or treat yo’self and get a full pint of the Now Now milkshake IPA. No judgement here! The tap room is only open until nine which seems to be a general theme to Oklahoma City. Learn more about my trip to Prairie. 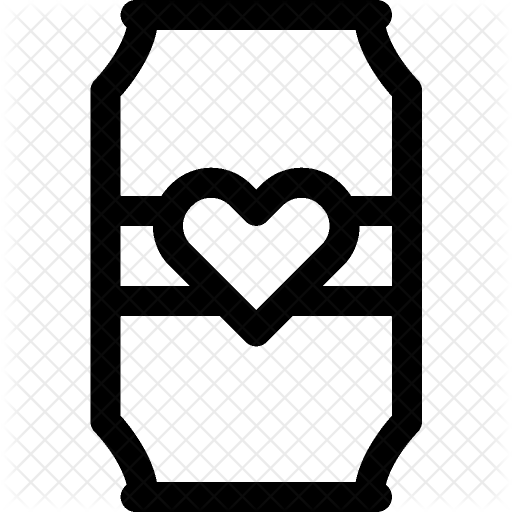 Two more hopstops are Anthem Brewing and COOP Brewing. When I return to Oklahoma City I hope to stay in COOP Brewing’s yet to be built million dollar brewery and boutique hotel. It’s an exciting time for beer in the OKC! Keep an eye out for Tulsa-based American Solera beer when in Oklahoma. American Solera was named the best new brewery in the country last year and the few beers I tried of theirs were outstanding. Avoid Bricktown unless you’re okay with sharing the night with 22 year olds having Bachelor or Bachelorette parties. Instead try a strip of locals-only dive bars on NW 23rd. I had a berliner weisse on The Pump Bar’s massive outdoor patio. The bar is in an old gas station and the street it’s on seems to have a prefect combination of bars and greasy food. Oklahoma has wild, unpredictable weather. For three nights in a row we watched dramatic thunderstorms and strong winds whip through town. One of these nights we needed to drive back to the AirBnB. It was a terrifying drive as water flooded the flat roads almost instantly. Watch the weather and remember: turn around, don’t drown! I hope you enjoyed this little review. Let me know what city you want to see reviewed in the next installment of Frugal Beer Snob’s Travel Guide!